"Literary Art in Digital Performance" examines a dozen works of digital literature, a category comprising creative works that are principally (but not exclusively) textual in character, and which includes interactive poetry, narrative computer games, projective digital art, among other creative classifications specific to digital media. Electronic art in all its forms has presented a need for approaching its mechanism as new aesthetic. The historical change in digital literature centers on the fact that part of the creative content and the conditions for its reception are now produced by machine structures rather than exclusively through manual means and materials. With this new factor, in which the creative impetus is embedded in algorithmic decisions, the aesthetic practices and strategies of digital literature are not approachable in the same way that literature is understood. 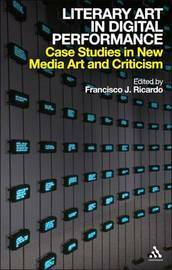 However, the rise of highly commercialized and popular fascination with media has not incorporated significant discussion about the degree to which art and literature remain as before, or are altered by this kind of widespread mediation. 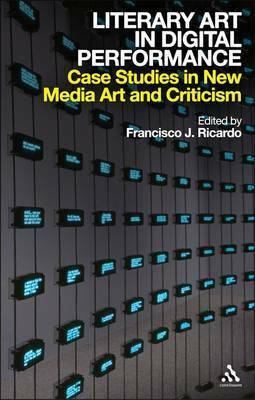 Francisco J. Ricardo, PhD, is a Research Associate at Boston University, specializing in contemporary and new media; art theory, criticism, and history; and computational aesthetics.